Worrying about how to get a Vietnam visa from Brazil? This article has all the information you need to get one in the easiest way. Brazil is not in the Viet Nam visa exemption list, so for those who want to travel to Viet Nam from Brazil, a visa is required. First thing you must know is that how many types of Vietnam visa are there and which kinds suit your situation. There are quite many types of Vietnam visa for foreigners and below are the typical types that should be noticed. This type of visa is used for tourism activities and travelers can only stay in Viet Nam for 1 month, but without having to prove the real purpose of the trip. Requirements for tourist visa are simple. Travelers all around the world including Brazilians to Viet Nam are tending to use this visa type more than the others. Technically, Vietnam business visa is issued for businessmen to enter Viet Nam to do business such as making sales, signing contract or attending conference. In reality, anybody can apply for this business visa and stay in Viet Nam for certain amount of time. From 2015, to obtain this visa, you have to pay higher fees in comparison to tourist visas. In addition, warranty letter from the sponsor company in Vietnam must be provided. Required documents are needed to obtain a work visa. You must be at least 18 or above, physically fit, have technically skills, no criminal record and work permit. Temporary Resident Card, which allowing visa-free access during 1 to 5 years, is granted for those are holing a work permit for 1 year. Transit visa is given for group tours guaranteed by travel companies, only valid for 5 days. Brazilian visitors visiting Vietnam for transit purpose are not required a visa if not crossing the immigration area. Each type of visas above can be single or multiple entries. Single entry visa allows you to enter Vietnam one time, otherwise with multiple entry visa you can reenter the country in a certain amount of time. After gathering enough information on Vietnam visa, the next thing you must know is how to get one. And this is also simple. The options to get a Vietnam visa depend deeply on how you travel to Viet Nam from your country. If you travel by land or by water, you must obtain one at Viet Nam embassy in Brazil. In another way, going by air will benefit you with an easy way – getting a Viet Nam Visa on arrival. You can contact Vietnam embassies in Brazil personally and get instructed step by step on visa procedure. By this way, you have to come several times to submit required documents, experience an interview and finally get the visa. It possibly takes you 3 – 5 working days. The fee is fixed and considered quite high for each applicant (30% higher than getting online). Nowadays, many people choose to apply an arrival visa for its simplicity, effectiveness and reliability. Visa on arrival or landing visa is an alternative way to get entry permission to Vietnam. 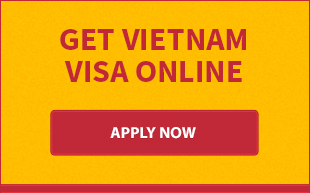 It is considered as the quickest and cheapest way for air travelers to apply for a visa for Vietnam at present. Though our agency’s online system, you will be helped to obtain your visa permission in the fastest way possible. The service fee is also cheaper in comparison to the amount you must pay if you choose to apply at a Viet Nam embassy. 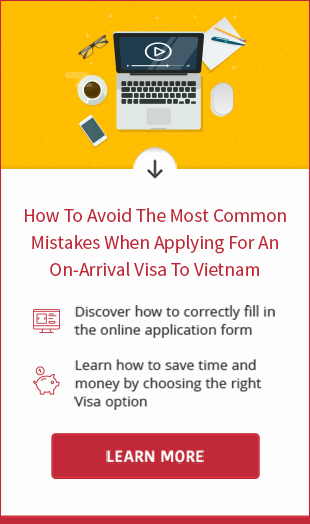 However, you should keep this in mind that we, a visa agency in Viet Nam, are only to helping you to have visa permitbeforehand, in this case it is called “visa approval letter”. So if you arrive in an airport in Viet Nam without approval letter, you will not be able to enter our country. Then, you must be aware that the most important thing you have before landing is the approval letter. - Pay for visa service fee as instructed. - Get the visa approval letter within 1 or 2 working day(s) and print out. - Arrive at a Vietnam international airport, present the approval letter, your passport, 2 passport photos (4x6 cm or 2x2 inches), entry and exit form and pay stamping fee to get your Vietnam visa. Please note that your passport must be valid at least for the next 6 months and our fees will vary depends on what kind of visa you are obtaining (Business Visa, Tourist Visa, Transit Visa). We hope that with the help of this essay, citizens from Brazil, or just as any citizen from any country, would find that getting a Vietnam Visa is indeed easy and very simple. Contact us for your further information.